So what does this mean for you and your team? 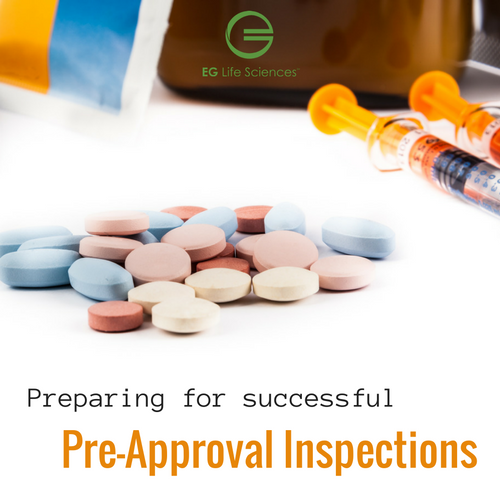 Just as you would prepare for an FDA site inspection, it’s a matter of the appropriate preparation and team approach that will yield the most positive outcome. The PAI is a crucial step in bringing a drug to market so it’s critical to assemble the correct team to handle all of the different aspects of these inspections. Without the appropriate strategy a drug can be delayed and competitors can get to market first leading to losses in revenue and product recognition. The Quality team oversees the PAI readiness plan, process and all functional groups who are involved. This team works closes with the Documentation group to check on batch and control records involved in making the product. During the PAI, the FDA is very interested in process validation. They want to understand how the manufacturing process is validated to make sure that the company is capable of creating the product in a reproductive manner. They want to see all of the testing that goes along with this process. The Facilities group needs to ensure that the space is adequately designed and controlled and that it meets the stringent requirements for all processes involved. This means that the facilities must be of adequate size and ventilation and that it’s suitably located for use. QC is involved with testing of the product to ensure it meets pre-determined specifications. At EG Life Sciences, we realize that it can be tough to assemble the right team with the appropriate expertise to meet these regulatory challenges. If you’re looking for help, we’d be happy to discuss these challenges with you. Reach out to us at: info@eglifesciences.com.